First, gifts from my dad. It’s now more than three years since my dad died, but he continues to help us out. The latest example being when a piece of coving fell down in our living room. No problem, said my mum, I have some that your dad bought – come and pick it up. So, we had a lovely day on Sunday, visiting my mum, collecting some of dad’s coving and also being given his ‘cove mitre’ (a template for creating the corners). The coving is now up and awaiting a lick of paint… it even inspired Mr Snail to write a blog post. I think abut my dad every day, so he will never truly be gone, but it’s really lovely when there are tangible parts of his life that come along to give us a helping hand. Second, having the vote. Historically, only a very small proportion of the population were allowed to vote, but first common men and then women won the right to vote and now in the UK almost every adult can vote (although there are a few exceptions including the queen). For some years I’ve had a postal vote, and mine arrived the other day (we’re having a general election in case you didn’t know). This means that I have already voted. Every time I put my cross on the ballot paper, I am glad that, despite all the issues we have in the UK, and despite the fact that I’m not keen on many of our politicians, at least we do have the opportunity to have a say in who runs our country. Third, giving and receiving plants. One of my 17 for 2017 targets is to give away 10 plants to good homes. On Saturday we went to drop off some home-grown lemongrass plants to a friend who runs a fabulous B&B (check it out here if you are planning a trip to west Wales). In return she gave me two sweet potato slips (rooted cuttings). I’m really looking forward to trying to grow these and it’s lovely to know that some of my spare plants are in a new home. As always, we are doing our best to reuse… the writing on the milk carton plant labels from last year has been cleaned off with meths, the padded packaging from around the new chicken feeder looks like it will make cosy trays for seedlings, none of the plant pots are new, we water the seedlings from a plastic milk bottle with a perforated lid and my dad’s propagator is doing it’s stuff for yet another year. Only the seed compost, seed potatoes and the seeds are new (in fact some of the seeds are from last year, plus we overwintered the pepper plants). I do love the promise that spring holds. Second, Muraya koenigii. My recent interest in Indian cooking has led me to start investigating growing some of my own exotic ingredients. I was so happy, therefore, to discover somewhere I could buy a curry leaf plant. They apparently make great house plants, so this one will live in the house in winter (needs to be above 15ºC) and in the limery in the summer. I do hope it thrives, as I have lots of recipes that include curry leaves. So, those are 3+1 things making me smile this week – what about you? First, sharing plants. On a recent visit to have lunch with Sue (she comments as Coppice Learner on here), she gave us a little clementine plant (grown from a pip) for the limery… I have high hopes, although Mr Snail is worried about oranges outnumbering limes in the limery!! In the same spirit I’m currently experimenting with cuttings from our passionfruit vine* in the hope that I can share this with other gardening friends who have glasshouse space. Fortunately, my friend Mr Stich has been able to restore it to its former state and so now I’m back to being properly organised again! He also sent me two lovely hedgie key rings that he made recently. What a talented craftsman. It’s not the need to highlight the plight of all the refugees world wide that’s making me smile, but the kindness and generosity of all those involved in doing something positive… another example of craftivism in action. So, those are three things making me smile this week – what about you? * My research indicates that passionfruit can be propagated by cuttings, but different varieties require different treatments (with/without growing tips; with/without leaves; in water/treated with rooting powder), although they should all be taken in autumn. Without specific recommendations for the variety that I have, I’m starting with the simplest approaches – stems with and without growing tips in water. I had plans for this weekend… Mr Snail is away with Sister-of-Snail, so it would be an ideal time to occupy the kitchen. Last week, we finally got round to tasting the cheese I made in February. I’m delighted to report that it was cheesy (well, you never know) and had a good texture. We would have liked it to be a little more mature, but we were impatient to test it in order to know whether it was worth making some more, so the mildish flavour was not unexpected. We tried it both raw and as Welsh rarebit and in both cases it was most acceptable. Waxing the surface had made it much easier to care for than if I’d allowed it to develop a natural rind, and the wax has been saved for re-use, so it is not wasted. With this success, I decided to make some more, using milk from the same source – it is unpasteurised and from Jersey cows and it has to be ordered a day or two in advance for delivery to the door. I’ve got a couple of potential sources of more local milk, but with my lack of experience, I want to get comfortable with the process using a raw product that I know has worked before. I will diversify later. So, the milk was ordered for delivery on Friday and cheese-making was planned for Saturday. However, part way through Friday morning, the telephone rang and I answered it to a very apologetic dairy farmer. Sadly, he said, the box with the milk in had been dropped at the depot so it couldn’t be delivered… would I like a refund? I assured him that I wasn’t genuinely desperate for 12 litres of milk and that I could make cheese next week, so delivery is now scheduled for next Tuesday. The lovely farmer was most grateful that I wasn’t cross (what would have been the point?) and was clearly delighted that I hadn’t cancelled the order. My weekend has, therefore, consisted of potting up lots of plants, planting seeds, cutting down nettles to make liquid plant food, getting nettled (despite my best efforts not to) and writing letters. Yes, the plan to send out real letters is continuing… now I have decent paper and ink that is liquid (rather than a congealed blob in the bottom of the bottle), it’s not too difficult to get my fountain pen out of its box and do some real writing. If you asked for a letter, there may be one on its way to you; in fact there may be one on its way to you even if you didn’t ask for a letter! I’m always open to requests, so if you would like to receive a real, hand-written letter through the post, do let me know… it’s so much more fun than getting an e-mail after all. And now, it’s probably time for a glass of wine and a spot of crochet… oh, the pressure! 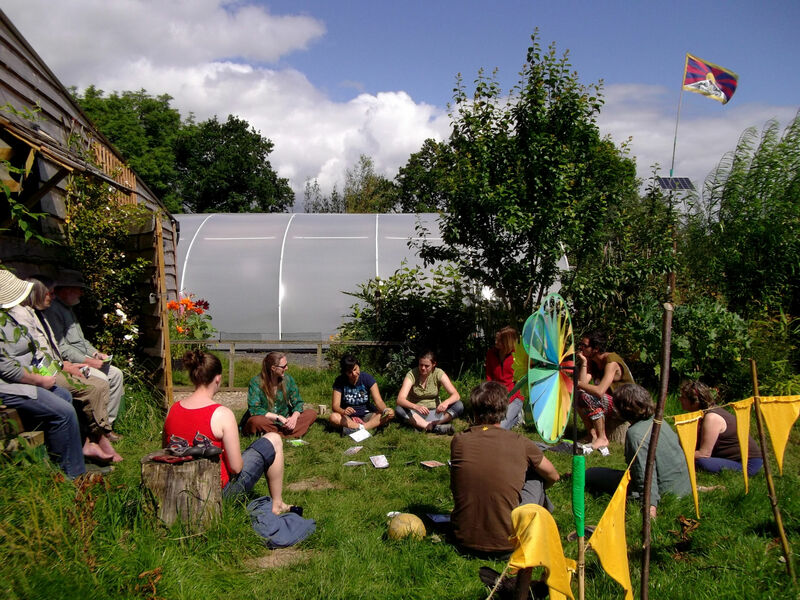 Today I should have been travelling to Shropshire to teach a course at the inspiring Karuna forest garden But I’m not. A lack of participants led to the course being cancelled. It was due to be my final teaching for the university and I was planning to go out with a bit of a celebration, but I’m disappearing with a whimper rather than a bang. Oh well… the important thing is that I’m moving on. All that remains is a little bit of marking and then my link with the university will be severed entirely and I can ride off into the sunset. 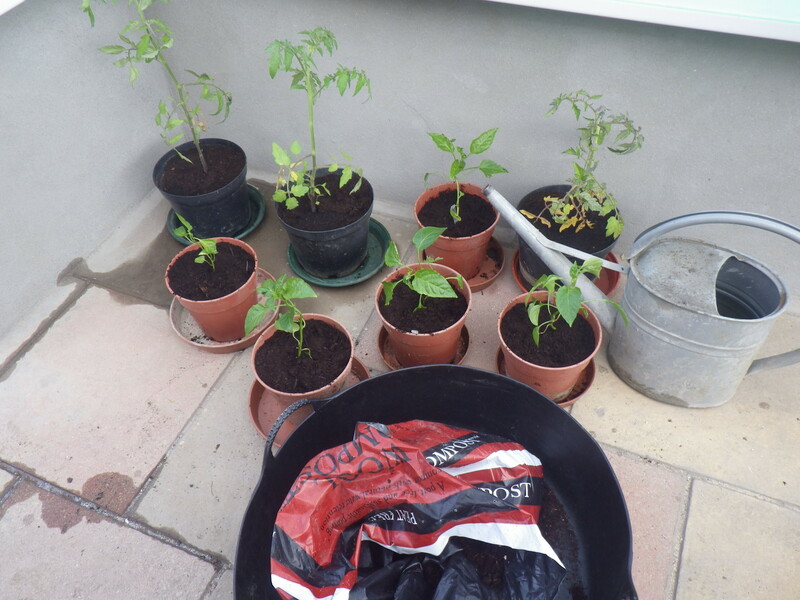 But, not teaching means I’m home for the weekend and playing with plants… growing vegetables rather than minds! I’m sorry to say that the limery is still not finished. And the reason? The piece of glass for the door was the wrong size! This was discovered last Wednesday and it takes 7-10 days for a new sealed unit to be made, so we are waiting. Once the final piece of glass is in and the last bits of sealing and cleaning are done, all that will remain for the building company is to install the electric lights. After that, we’ll be able to paint the walls inside and fill this wonderful space with plants. 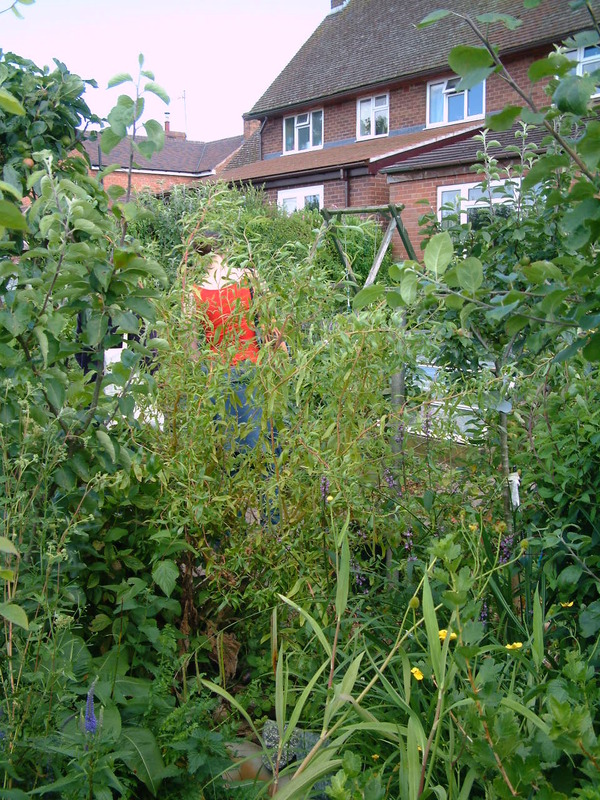 On Saturday I took the participants on my course to visit Wade Muggleton’s wonderful garden at Station Road. I’ve blogged about it before and don’t wish to repeat myself, but do check out my earlier post if you haven’t already read it. Wade very kindly offered everyone plants to take home, saying that whenever you visit a garden, you should always take some of it home with you (he was quoting someone, but I can’t remember who). We departed with a variety of goodies: an apple tree, horse radish, rubber plants and (my favourite) alpine strawberries. So, if you have a garden, next time someone visits, why not send them off with a cutting or a plant… or even some courgettes! It’s that time of the year when we place those little packages of energy into the soil and watch as they emerge – transformed into growing plants. 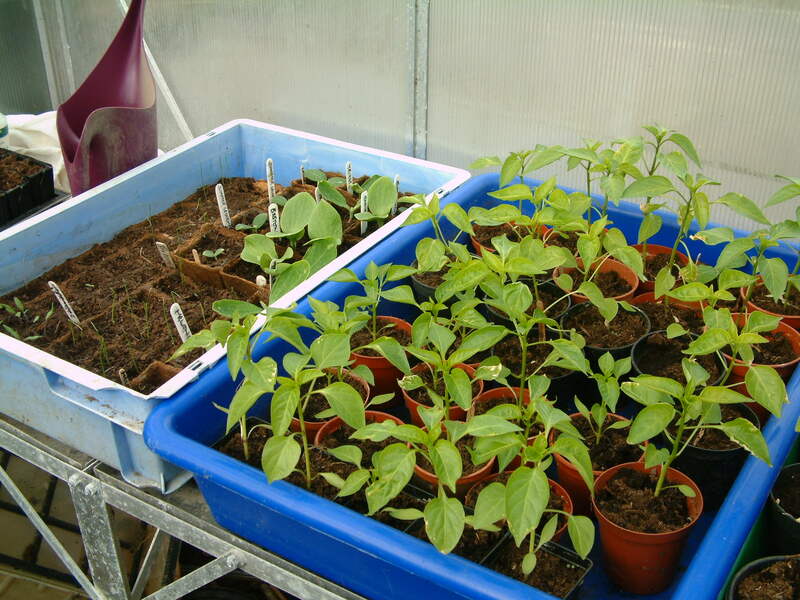 In my greenhouse there are courgettes, squashes, peppers, chillies, leeks, tomatillo, even a few tomatoes (which I am hopeless at growing). But I have been thinking about the other sorts of seeds that I have been sowing… giving away plants and seeds to encourage other people to produce even a little bit of food, sharing ideas about sustainability through this blog and other electronic media, teaching permaculture and ecology. I wonder what will germinate from those activities and whether I will ever know. Perhaps I am most delighted by my sister – a confirmed non-gardener until a few years ago when I started supplying her with small plants: just courgettes, tomatoes and peppers at first (all things she loves to eat). Then a friend in France gave her pumpkin seeds, and now she is growing raspberries and rocket, strawberries and squashes, potatoes and plums and much, much more. So if you have spare plants, extra seeds or good ideas, share them out and watch as they grow!